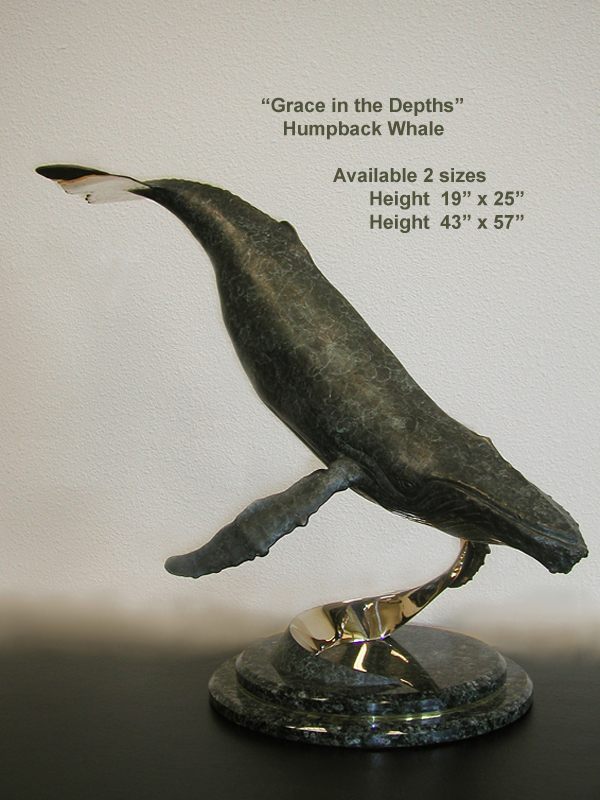 Originally commissioned as entrance gate posts for an estate in Hawaii, this humpback whale sculpture has an artistic mottled patina and high polished accents. This graceful work of art lends a modern flare. Beautiful inside or poolside.